Last year, my roommate moved out of my apartment and ended up taking our wireless router. I didn’t want to wait for twenty-four hours for Amazon to send me my new router, so I decided to turn my PC into a wireless router (or hotspot). My PC, which was wired directly to my modem, turned out to be a great replacement for my router and allowed me to hook up to the internet via WiFi with my laptop and mobile devices. There are two ways of turning your Windows 8 PC into a wireless router, and I will walk you through both. We would not purchase a Raspberry Pi solely for this purpose, since you can probably buy a dedicated router that will act as an wireless access point for less than the price of a Raspberry Pi, power supply, SD Card, and WiFi adapter. But if you already have a Raspberry Pi that is loafing along doing some task that doesn’t make full use of its capabilities, this might be an extra task you could give it, particularly if it happens to be in a spot where WiFi reception is a bit spotty. If you run Ubuntu Linux, and you have a wired ethernet connection to your system, and it also has wireless connectivity, then at some time you might have tried to set it up as a WiFi access point. And what you probably discovered is that you can create a WiFi access point using Ubuntu’s “Create New Wireless Network” panel, but unfortunately this creates what is termed an “ad hoc” network, and for reasons we don’t fully understand, Android devices and some other types of wireless devices apparently can’t connect to that kind of network. Wiconnect is an infrastructure wireless connection manager built specifically for ubuntu. This is an Ubuntu’s open source alternative for connectify. It aims to provide network that is compatible with android devices. Before you go any further, you should check your network connections and make sure that “Enable Wireless” is on (there should be a check mark next to it) but also make sure you are not actually connected to a WiFi network. Unless you have two network adapters, you can’t both be connected to a WiFi network and simultaneously acting as an access point. The above two windows are asking for the password you use on your system when installing new software or making system changes. Some of what it has to do requires root privileges, so that’s why it needs the password. On the above screen it wants you to enter the name of wireless network as it will be seen on your WiFi devices, also called the SSID. Use something unique, but not too personally identifying, so that if you are in an area where there are multiple WiFi networks you will be able to easily find your access point. As for the password, this might be called either the “password” or “key” on some devices, but you should use a really strong one here if you don’t want to be hacked. If you don’t have a program that you can use to generate a truly random password, then search online for a random password generator. The longer and more random the password is, the better. Remember that if a hacker can see your access point, he can run a program that can try millions of password combinations over time, so don’t make yourself an easy target. On the above screen you need to select your internet source, which in most cases will be your wired ethernet connection on eth0. 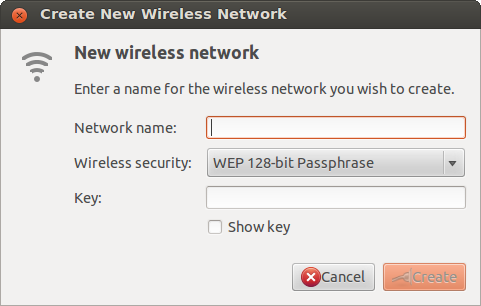 Note that the SSID name should now be showing the name you selected (if not, you might need to restart Wiconnect). Now click the Create Connection button. After several seconds, your access point should be operational. Whenever you want to turn it off, click the “Stop Connection” button. Note that if you answered “No” to the question about saving the root password, then you will be prompted to enter it each time you start or stop the wireless connection. Note that if your device (that you want to connect to your access point) asks you to specify what type of connection this is, it will be something like “WPA/WPA2 PSK” – the exact terminology may vary but the most important thing is that it is WPA2. 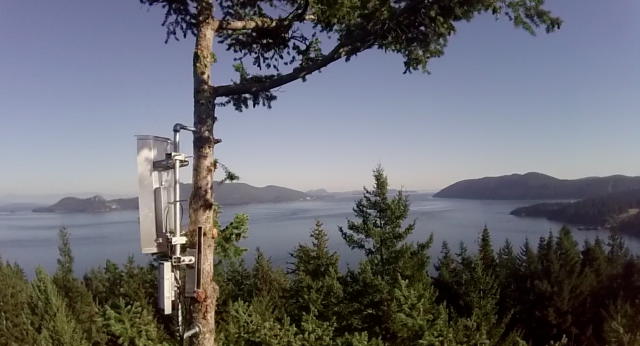 Hopefully one of these two approaches will get your access point working! So you have switched to another operating system, but still miss some of your favourite programs on Windows? Here are 7 app to help your run Windows program on your current platform! Two additional ways that we know of that are not mentioned in the article: Parallels, which is basically a virtual machine that integrates into the OS X or iOS platforms, so that you can run just about any Windows program, although you will need to have an actual copy of Windows to install, and the Parallels software itself is not free. But there is a free alternative: VirtualBox, which runs on Windows, Linux, Macintosh, and Solaris hosts and supports a large number of guest operating systems including but not limited to Windows (NT 4.0, 2000, XP, Server 2003, Vista, Windows 7), DOS/Windows 3.x, Linux (2.4 and 2.6), Solaris and OpenSolaris, OS/2, and OpenBSD (and, we’ve even heard reports of people running Android in VirtualBox). Here again you would need to have an actual copy of Windows (or your other preferred operating system) to install, but the VirtualBox software itself is freely available as Open Source Software (see their web site for details). A wireless hotspot enables a computer to serve as a router over Wi-Fi. Ubuntu lets you easily create a wireless hotspot by using the Network Manager, but it uses an ad hoc network and most Android and Windows Phone devices can’t connect to such networks. For this reason, I’ve created (in collaboration with Satya) a script called AP-Hotspot that automatically creates an infrastructure (Access Point mode) wireless hotspot in Ubuntu that should work with Android and Windows Phone devices. The script uses hostapd and dnsmasq and it requires Access Point mode support for your wireless card – AP-Hotspot checks for this automatically and won’t run if your wireless card doesn’t support it. And in case you are thinking that the only things he knows how to do with a Raspberry Pi involve WiFi, guess again! Here is a link to all his Raspberry Pi related posts. If you have an RSS newsreader, you might want to add his feed, or follow him on Twitter to get notifications of his latest blog posts. If you know of any other great blogs for Raspberry Pi users that are of the same caliber as this one, please feel free to let us know in the comments!